The IIT Bombay Tech Fest, one of the most sought after annual events for students, technology enthusiasts, startups and established organizations, was held from January 2-4. During the course of this 3 day event, a number of exceptional inventions and technological advancements were showcased by students from India and abroad. The event was attended by several notable personalities including former President of India Dr. A.P.J. Abdul Kalam, Google Doodle’s Ryan Germick and renowned mathematician Mr. Manjul Bhargava. Designed by a group of mechanical engineers from Switzerland, this robot is designed in the shape of a turtle. 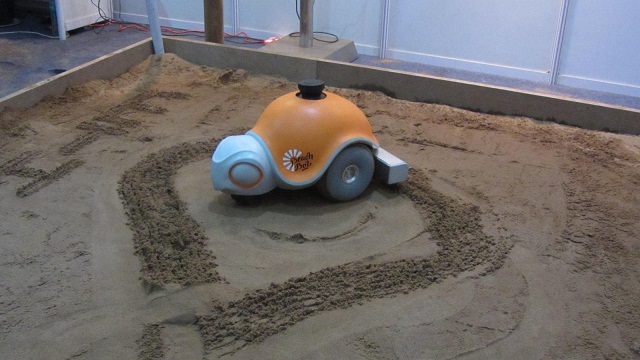 This device is an autonomous robot, with the ability to create large scale art work on sand. The robot uses CAD processes for its operations. With their country having won the FIFA World Cup 2014, a group of German engineers came with robots that could play football. Each robot in this group is equipped to make use of clever algorithms to communicate with the other robots in order to maneuver the ball around. 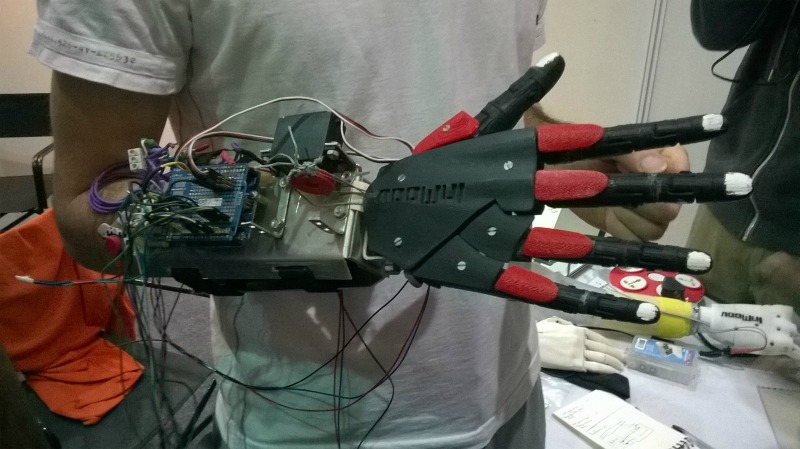 The Bionico Hand is a low cost prosthetic arm developed by Nicholas Hatchet. This arm is designed to help amputees in picking up objects. The arm uses 3D printed parts, reducing both time and cost of manufacturing. This tech fest featured several other robot exhibits, which included humanoids, bio-inspired flying devices and the eco-friendly Hovis. Another highlight of this tech fest was Dr. A.P.J Abdul Kalam’s speech, where he urged the gathering to support his dream of digitalizing the rural parts of India. He said, “In two years, India should move away from consumption of costly fuel to providing solar energy. Youngsters will be the pioneers of India’s future development. I am sharing this with you, so that you can become future ambassadors for solar power”. Next story Cracking IIT JEE without coaching: Is it a Dream or Reality ? Previous story What to Expect from JEE 2015 Exam Papers ?